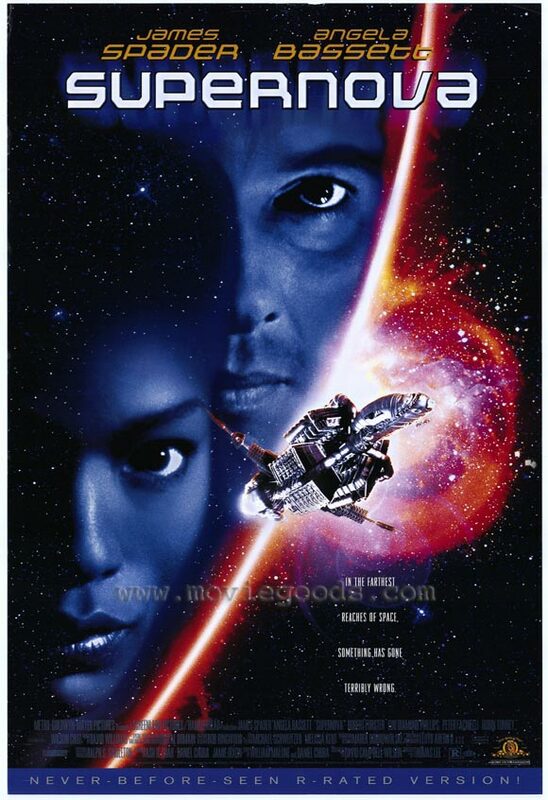 More times than not, the second movie tends to make more money. However, in the event that it doesn't, it's (usually) dubbed the fan favorite anyway, making the second film (usually) the better one regardless of profit. 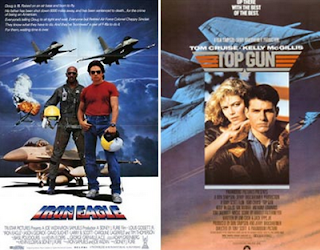 Take a look at a list of deja vu movies below and see for yourself. 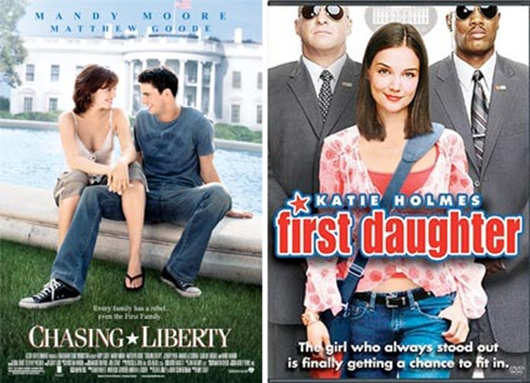 Remember, these films only consist of same-year-release-date, with extremely (operative word being extremely) similar plots lines. Plot: Young hotshots with incredible, innate fighter pilot skills. Top Gun is the obvious winner here, while Iron Eagle... well... does anyone even remember this movie? Plot: A police officer teams up with dog. 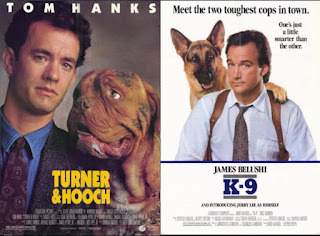 Turner & Hooch grossed a bit more at the box office, but K-9 got two direct-to-video sequels, while Turner & Hooch only managed a failed TV pilot. Neither film were particularly well reviewed. 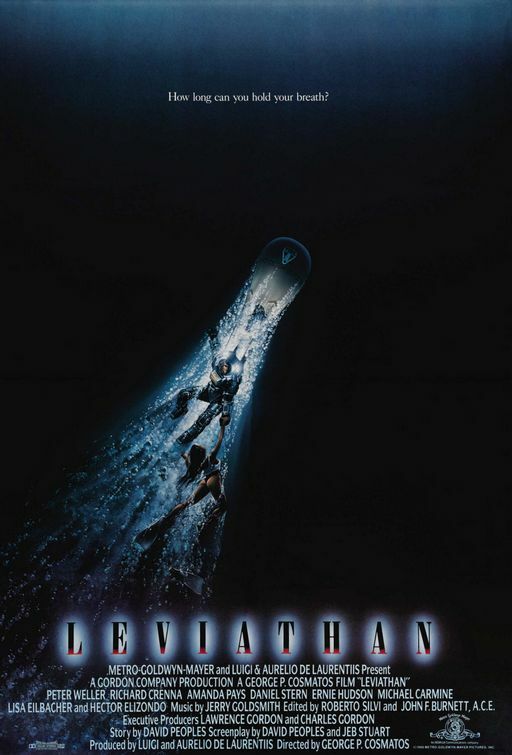 Plot: A group of people on an underwater mission encounter dangerous, unidentified creatures that put their lives in serious peril, changing their mission to survive! Not only is The Abyss a great movie, but it helped launch James Cameron's career, while no one has even heard of Leviathan. Plot: Live action movies that involve talking pigs. I'm sure Gordy was seen by one or two people, while Babe was seen by all. It's considered one of the greatest family films ever made (and certainly the best-ever with talking animals). 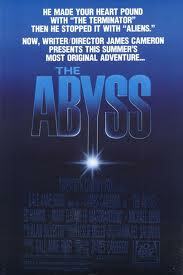 It was nominated for seven Academy Awards, including Best Picture, and won the Oscar for Best Visual Effects. Plot: Volcano eruptions. The former being the surprising winner, taking home more cash-flow than the latter. 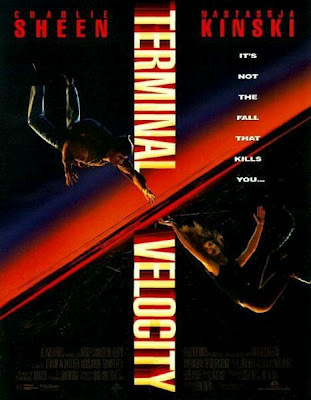 This is one of the few examples that disputes my deja vu theory. 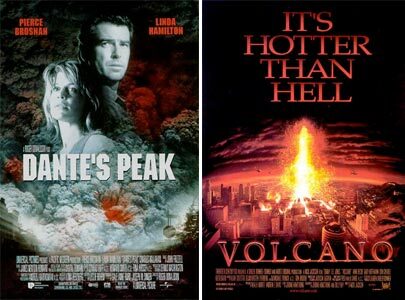 Regardless, Volcano is still the fan favorite. 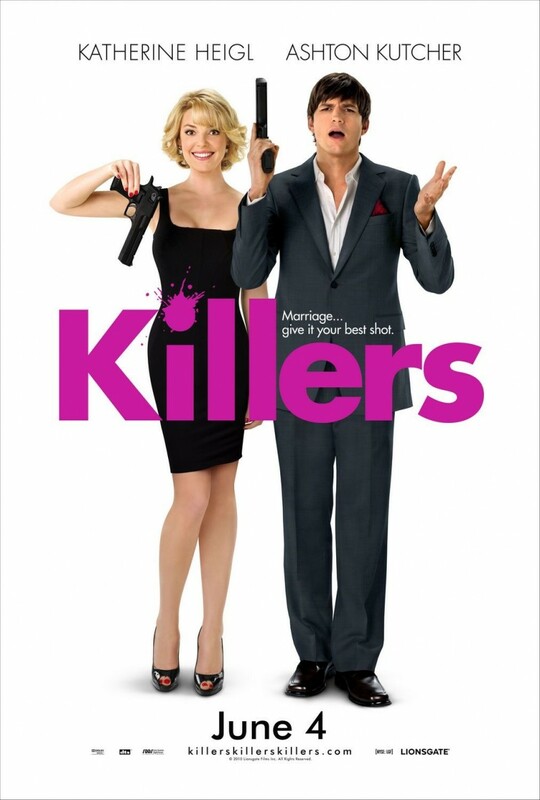 Plot: Featuring ants as their main protagonists. 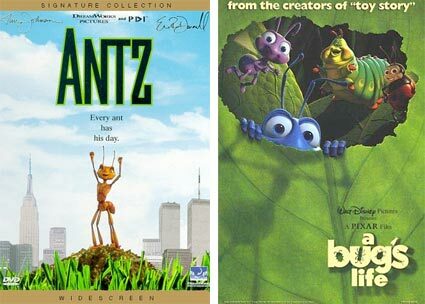 Both films were a success with both audiences and critics, as well as financially, however, A Bugs Life clearly takes the cake. Plot: A meteor headed for Earth. 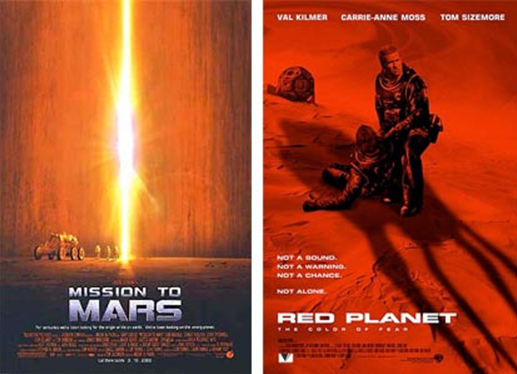 Both films revolved around different reactions to the same idea - one more dramatic, the other more action-based. 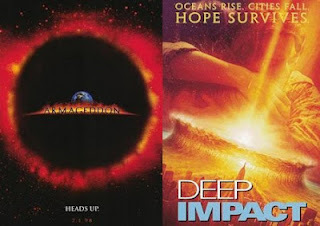 Armageddon made more money, but scientists say Deep Impact was much more accurate. 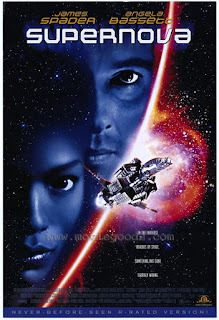 Plot: Space movies about a motley crew of misfits that must survive a hostile environment and an Ax Crazy serial killer. 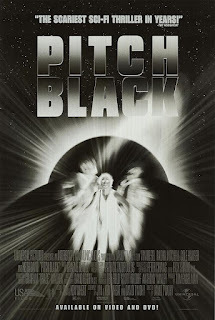 Pitch Black did more with its plot than Supernova did and it eventually spawned a pretty fat franchise with a sequel and a video game, while Supernova pretty much... super-sucked. Plot: Movies about going to Mars! 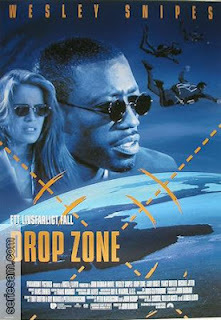 Here's another example where the first movie made more money than the second. However, overall, both films were major money losers for their studios, but Red still manages to have a larger fan-base today. 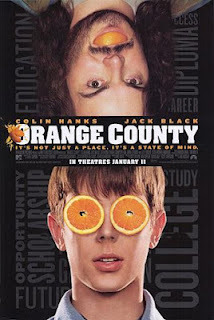 Plot: Two guys finagling their way into the good graces of a prestigious university. 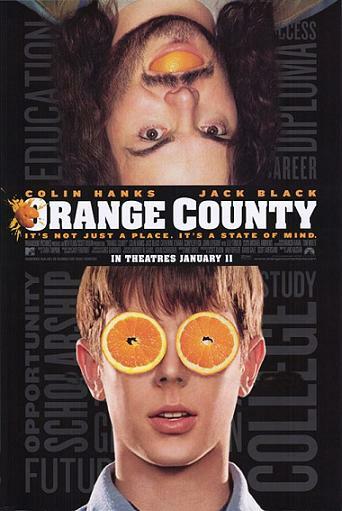 Neither did well at the box office, but Orange County is considered better and has a better following today. 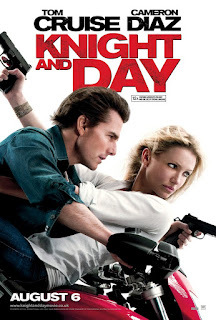 Plot: Both rom-coms about a First Daughter who falls in love with a seemingly ordinary young man, only to discover that he's actually an undercover Secret Service. Could these two films have a more similar plot-line? Both tie for lameness. 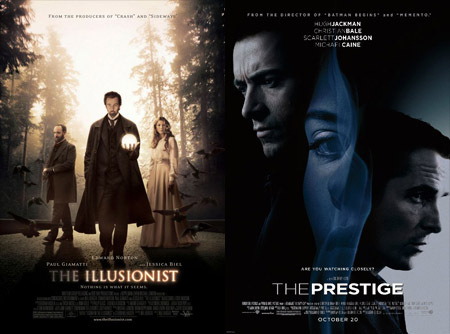 Plot: Period movies where very handsome actors play magicians who seem to perform the impossible. Both were successful, but Prestige seems to have more fans currently. 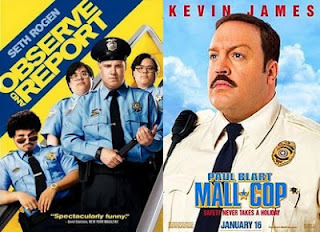 Plot: Both comedies about overweight mall security guards attempting to stop criminals. Mall Cop was a runaway box office smash, but critics weren't too fond of it. Observe did modestly at the box office and got mixed reviews, but is perceived as the better film. Plot: Cheesy rom-coms about a single woman who undergoes artificial insemination. 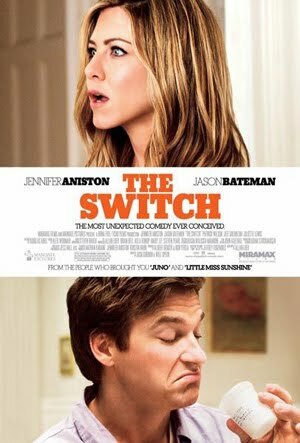 Although, Switch received slightly better reviews than Back-Up, both opened to disappointing numbers - shocker. Plot: "Big-budget art-house films" that feature dysfunctional family drama alongside epic cosmic events. 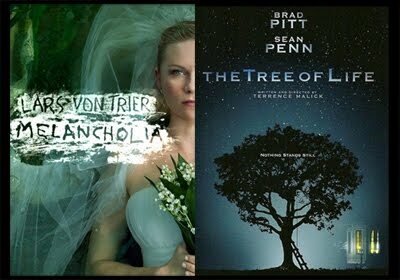 Melancholia got better reviews and public praise, while The Tree of Life had better PR and received more awards. 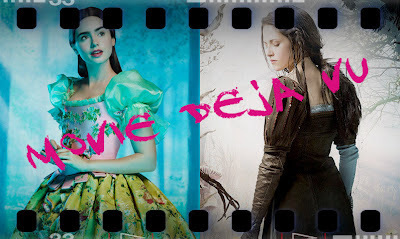 Plot: Live-action versions of "Snow White." 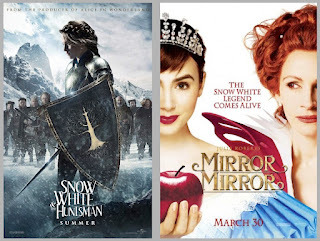 Mirror Mirror is more humorous and family friendly, whereas Snow White and the Huntsman is a darker, more Lord of the Rings stylized version. 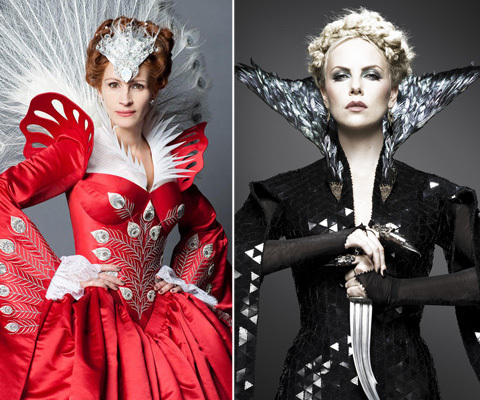 Will you see Snow White and the Huntsman in theaters?